Your hostess Annie Huskens is looking forward to welcoming you in her Bed & Breakfast Het Groote Genoegen. 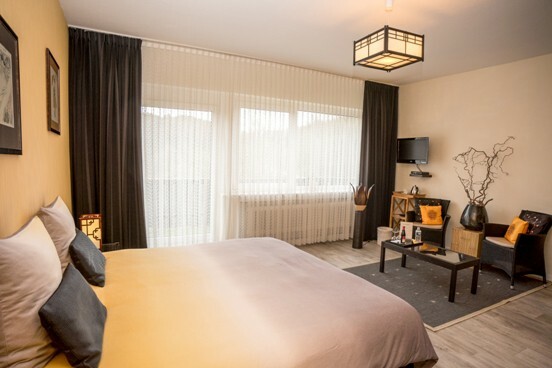 Bed and Breakfast het Groote Genoegen opened its doors in 2014 and provides 3 spacious, tastefully furnished rooms, each well appointed with an en suite luxury private bathroom and a toilet. The rooms are decorated in Chinese, Japanese and Swedish style. In addition to overnight stays, we offer attractive midweek packages, especially suited for cyclists and hikers, or during winter months, for skiing enthusiasts. 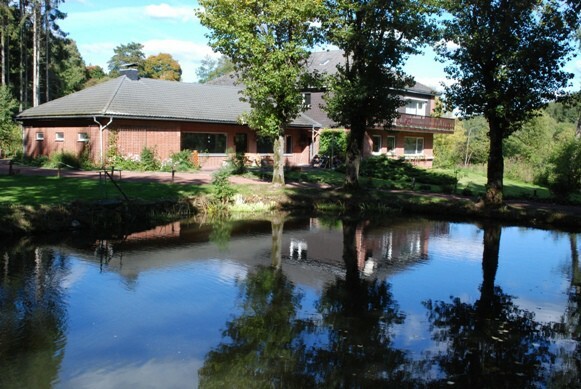 B&B Het Groote Genoegen is nestled in the midst of woodlands, just outside Manderfeld, and includes a big garden containing a terrace and a fishpond. A good time is guaranteed for children as well. In the breakfast and dinner room, you can also make use of the library and board games. The roomsXiăngyòngandVilahave a sofa bedfor up to2 children. Breakfast included from 7.30 – 09.30 a.m. (alternative hours on request). In the breakfast room with its large table, a lavish breakfast buffet with fresh local products and homemade treats. If you have something to celebrate a champagne breakfast is possible. Dinner is served on weekdays. In case you wish to dine with us, please let us know one day in advance. Dinner is served according to a fixed but varied seasonal menu. Hiking and cycling maps are provided. If you bring your own bikes they can be stored in a locked space. 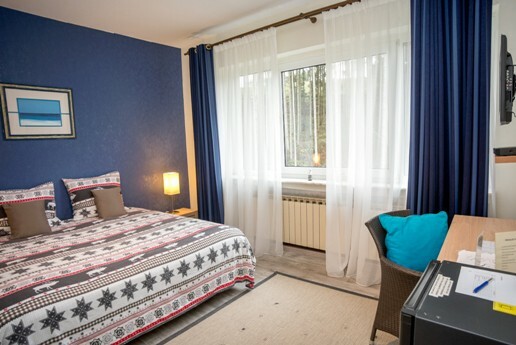 Did you stay in B&B Het Groote Genoegen****? Let us know what you thought about it and help others to make the right choice! * I confirm having stayed in B&B Het Groote Genoegen****. Find other bed & breakfasts in Büllingen, all bed & breakfasts in Eupen-Malmedy, all bed & breakfasts in Liège (province) or all bed & breakfasts in Ardennes.